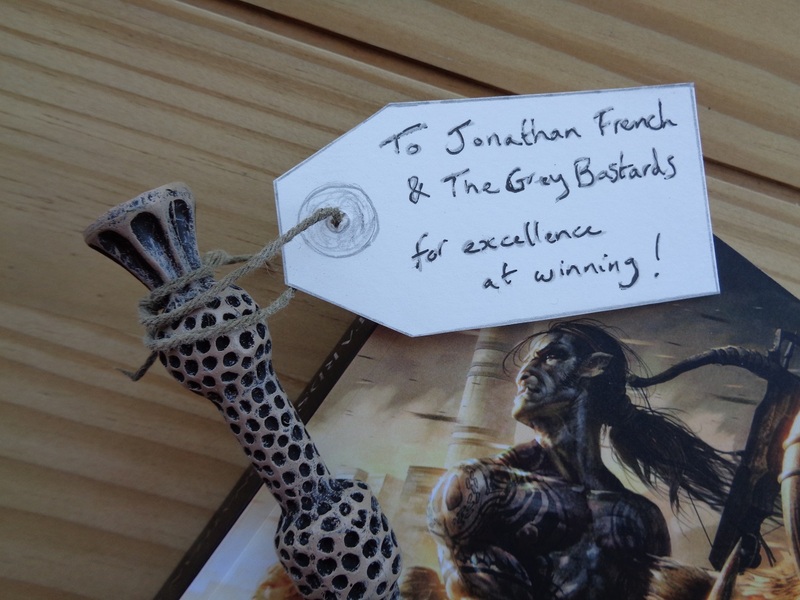 Mark Lawrence: The SPFBO now has an award! 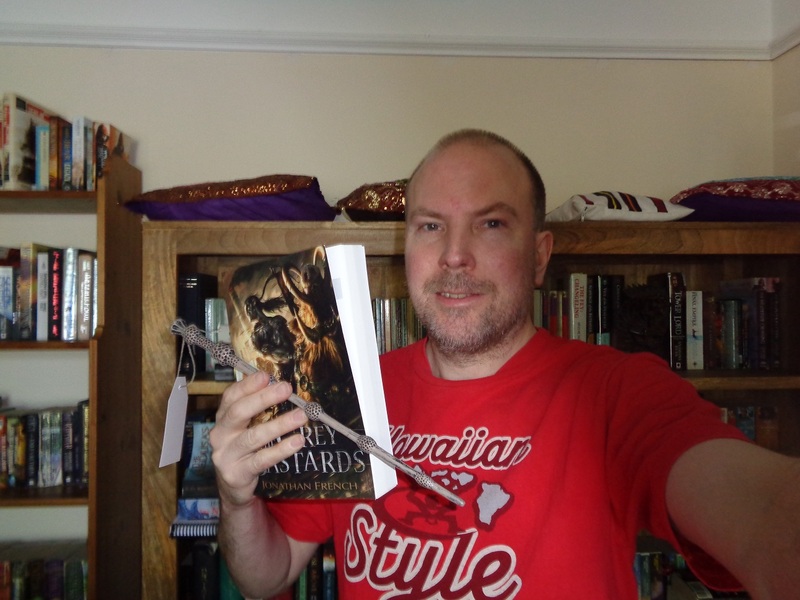 The Self-Published Fantasy Blog-Off now comes with its own award. 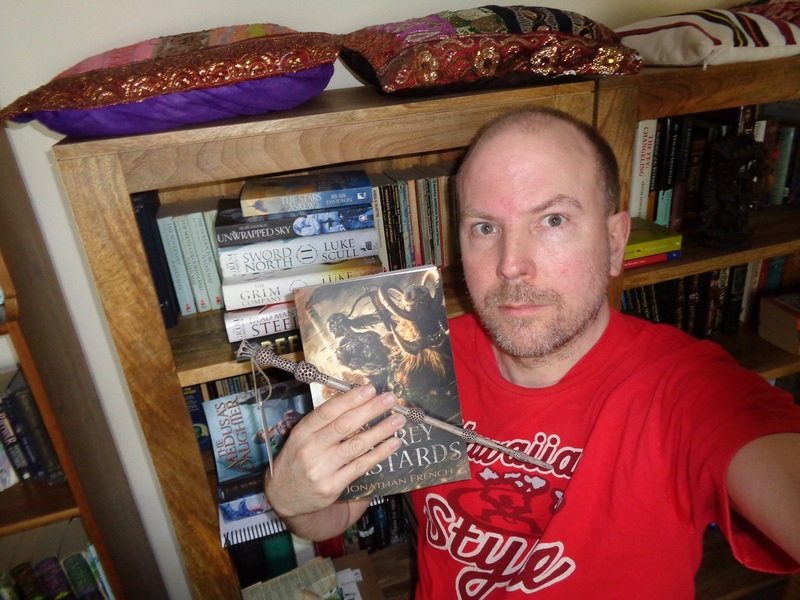 The fabulous and coveted Selfie Stick! 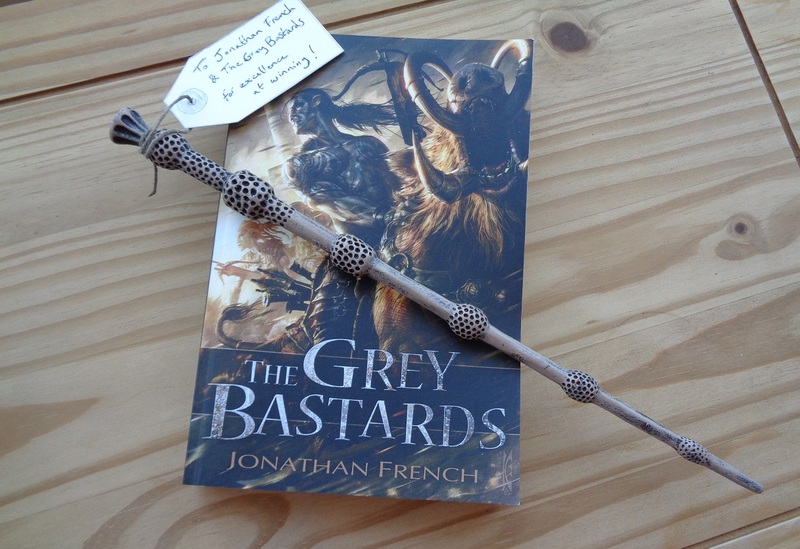 The 2016 award goes to Jonathan French for The Grey Bastards. No, it's not just Dumbledore's wand ... shut up. No, I didn't do it in pencil first then go over it ... shut up. Yes, that is supposed to be a smile. Jonathan French wields his prize for SPFBO 2016 winner, The Grey Bastards. For excellence at winning! Gold!